RYAN: I was so excited when I heard there would be a new Pee-wee movie. 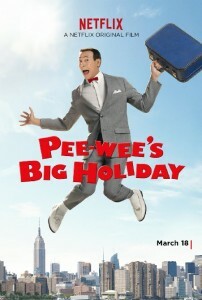 Unlike My Big Fat Greek Wedding, I actually wanted another Pee-wee movie. This Big Holiday comes 31 years after the classic Big Adventure and 28 years after Big Top. It’s exclusively available on Netflix where we just watched it. You don’t care how many years later it is – but it’s certainly not worth it. CHUCK: No. At moments I felt like I was watching Whatever Happened to Baby Jane? CHUCK: He’s a little too old to be playing this character. What was once charming is no longer whimsical. RYAN: I completely disagree. 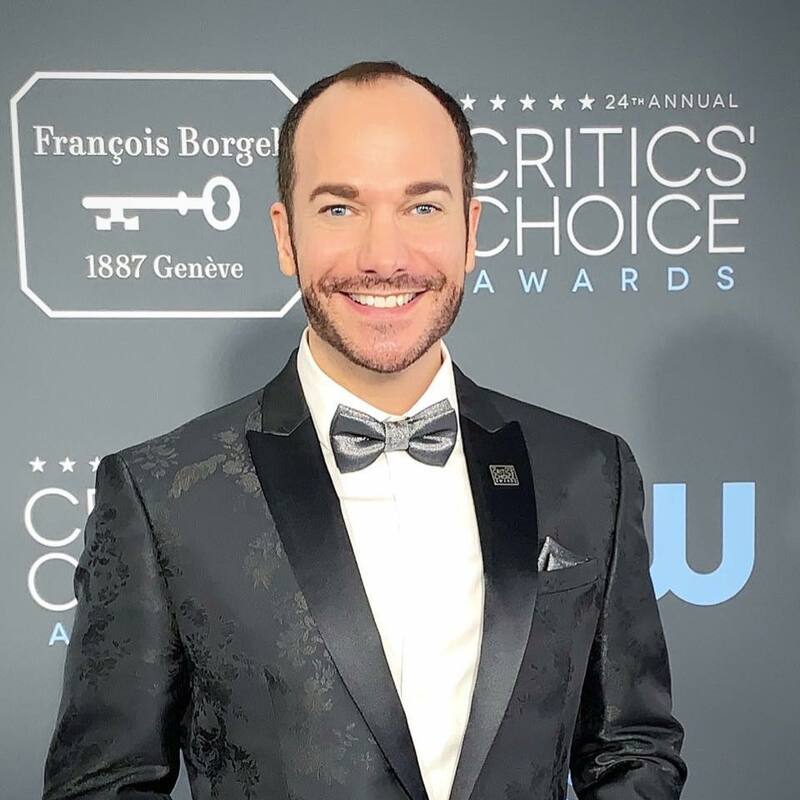 Pee-wee still works. The character is timeless and he looks the same. Yes, mildly older, but nowhere neat 30 years older-looking. He looks phenomenal as Pee-wee and he’s still “got it.” Paul Reubens isn’t the problem. The script is. It needed a story. It was horrible. It’s not about budget, timing, distribution. It’s about the story. Look at My Big Fat Greek Wedding 2 – so so good because the script is so good. CHUCK: Nia Vardalos wrote both scripts. RYAN: But both previous Pee-wee films were way better than this, as was his TV show Pee-wee’s Playhouse. RYAN: It all comes back to the story. I don’t know why the script wasn’t better. There were some terrific moments – and I smiled and I laughed and appreciated those. but as a full film, no. It follows the same basic pattern as Big Adventure but lacks the purpose, stakes, or sense of adventure. Getting to a party isn’t as intense as recovering your bike. CHUCK: And there were no real connections of relationships built along the way in this one. These were just, like, vignettes. The other movie – he actually formed relationships. And I never thought of Pee-wee as a boy. He’s treated as an adult, but he’s really this man-boy or something. RYAN: He is sort of between both worlds of young and old, mature and not. He’s a mythological character in a hyper-reality. The world seems real around him but the characters he meet are also unrealistic. But your’e right – there’s no character development or arc. I’m really surprised because it’s produced by one of the funniest men in the box today – Judd Apatow. What did he do here? Couldn’t he have taken a pass at the script and been, like, “No. This isn’t working. There’s no story – fix it!” Or fix it himself? CHUCK: What did he do for this? RYAN: They should have just gone for a full on PG-13 or R rating. But it’s PG and plays to the kids. It’s not like great family films that play to all ages – this skews young – but LBH, let’s be honest, who even knows who Pee-wee or Joe Manganiello are? Kids haven’t seen True Blood or Magic Mike. CHUCK: Right – our generation knows them, not the kids. RYAN: To do this PG makes no sense to me. CHUCK: There’s one part where I thought it became a John Waters movie. RYAN: It’s a major #fail. It’s such a missed opportunity. CHUCK: His eyes were so red. Where was the Visine? RYAN: Aside from that, I think he looked ageless. CHUCK: Oh and let’s talk about the musical number. RYAN: Yeah what would normally be the highlight of any movie was actually embarrassing here, sadly. CHUCK: It was such a bad song. I have nothing good to say about this movie. RYAN: There are so great moments – but again, it comes down to story and this doesn’t have a good one. Relive the classic instead. This lacked any edge. 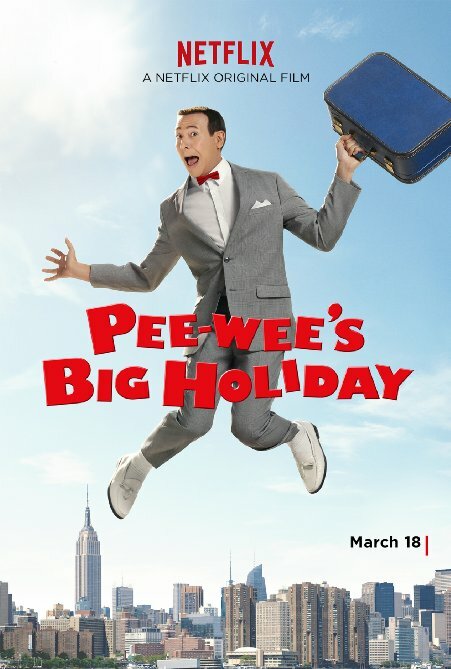 I’m left still wanting another Pee-wee movie – but a better one than this.